The options for kids mountain bike shoes are limited. Fortunately, one of the only options — the Five Ten Freerider Youth — happens to be an exceptional one. A miniature size of the popular adult Freerider shoe, the Youth version offers performance and comfort in a pint-size package. The only problem with the Freerider is that you might have trouble getting your child to take them off. The real attraction of the Freerider is the sole. The Five Ten Marathon rubber does an exceptional job of keeping little feet planted firmly on their pedals. 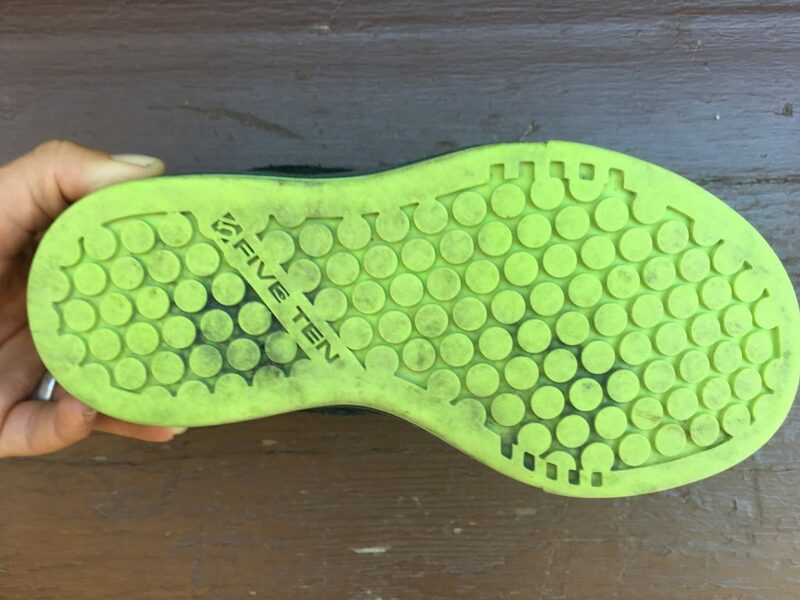 Previously, my son had been riding with a pair of skate shoes, which did an adequate job, but it’s clear that the soles on the Freerider are superior even to a skate shoe. Even in wet weather, the shoes are sticky and stay put. In comparison to skate shoes, the soles are also much stiffer. This ensures good power transfer to the pedals for the uphills and a firm platform for foot support when descending. That said, the soles aren’t excessively stiff. They work well for mid-ride stops at the playground and for hiking up steep hills. 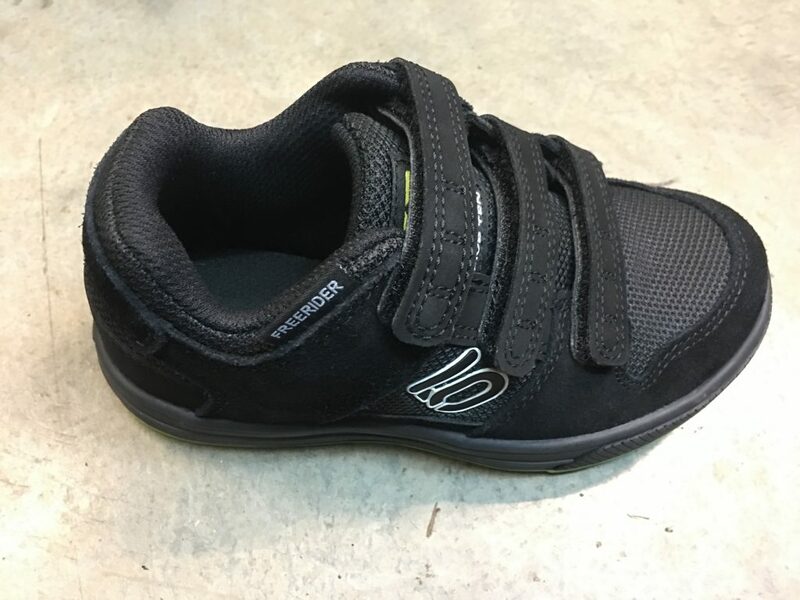 We picked the velcro version of the Five Ten Freerider Youth for my son, since he’s 5.5 and can’t quite tie shoelaces yet. Frankly, I wish they made the adult version with velcro too. You don’t have to worry about loose shoelaces, and they slip on and off quickly. Of course, if you do prefer shoelaces, you can buy the Freeriders in a lace version as well. Parents who have kids who do a lot of biking know: mountain biking can wreak havoc on shoes. There is no faster way to wear out a good pair of shoes than taking your child to the pump track a few times a week. That’s another reason we like the Freerider: they are durable and stand up to frequent abuse. Let them tear up the Freeriders, and save your child’s regular shoes for school and the playground. The Five Ten Freerider youth shoes start in a super tiny size 10.5. These are some of the smallest youth bike shoes out there. They come in half sizes thereafter and go up to a size 3. 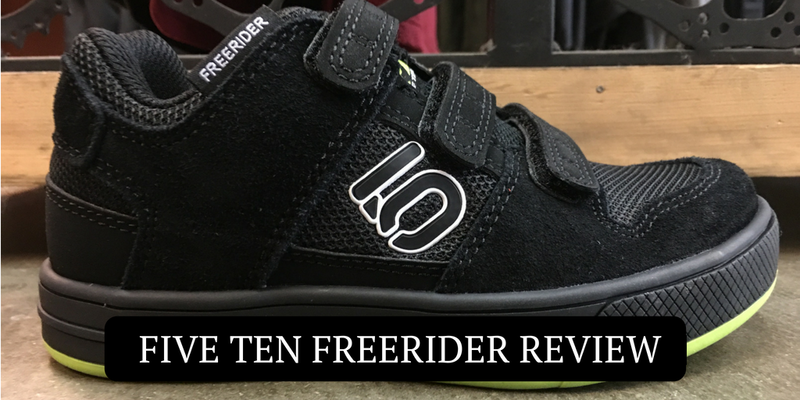 As of the writing of this review (July 2018), the biggest problem with the Five Ten Freerider Kids shoes is finding them. They’ve been out of stock from Adidas for months now, and the only places you can find are from retailers that had plenty of stock. We spoke with Adidas Outdoors when we were at Sea Otter, and we were assured that they are coming back, so we’ll be holding our breath. In the meantime, the shoes are still possible to find, but you might have to do a bit of searching to find them in the size you want. For flat pedals, the Five Ten Freeriders are really your only option. If the price on them scares you away, you can opt for a pair of skate shoes instead. There are also some clipless options on the market, but that assumes that your child is ready for clipless pedals and that it matches their style of riding. For parents looking for a flat mountain bike shoe for their kiddo, go for the Five Ten Freerider youth. It is not only one of the only options on the market, it’s also the best. The Marathon rubber outsoles provide superior traction on the pedals, and the insoles are stiff enough to perform well on both climbs and descents. 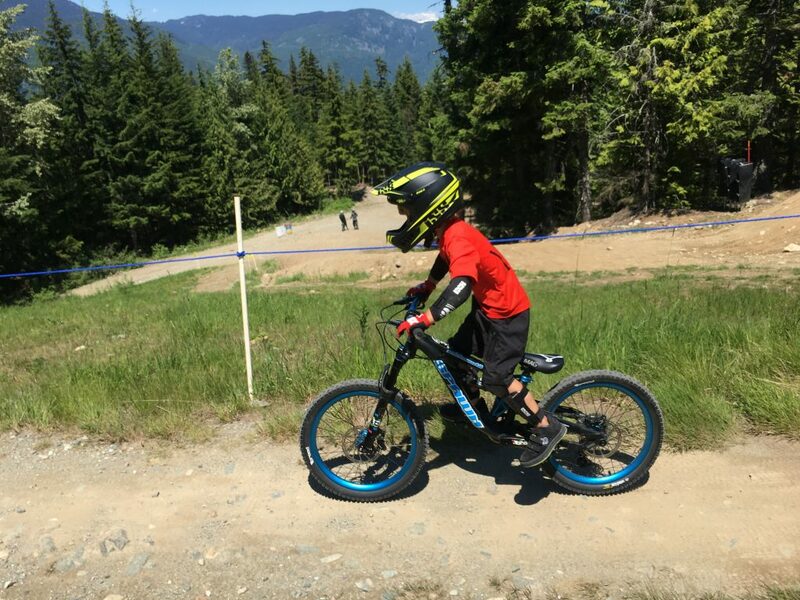 Finally, the Freeriders look cool and that can go a long way in making your child excited to get out on the trails. Is sizing true to size? I.e if your child wears a 10.5 in tennis shoes they will be a 10.5 in the five tens? Hi Melissa, Yes, we found them to be pretty true to size. They are pretty wide compared to tennis shoes so you might be able to even go down half a size if you’re looking for a perfect fit. We actually bought a size up though so that they would last a little longer, and that seemed to work ok also, we just snugged up the velcro.